Are you compliant with EU allergen labelling rules? 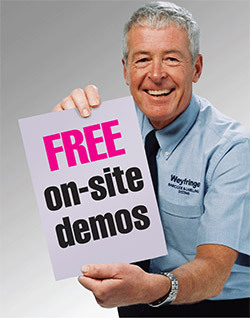 Weyfringe has the answer with EASYLABEL, probably the worlds most powerful and easiest to use label design and print software. Whether you are labelling sandwiches, drinks, produce, pasties or any other pre-packed, loose or packaged for direct sale products call us on 01642 490121 for advice on the 2014 EU food allergen labelling changes. 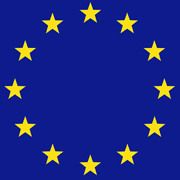 From 13th December 2014 allergen labelling rules are changing in the EU. The new European food labelling legislation is called the Food Information for Consumers Regulation (EU FIC). The regulation will change the way allergen information appears on labels and on food that is pre-packed, sold loose or served when you are eating outside of the home. The EU FIC will bring general and nutritional food labelling together into a single regulation to simplify and consolidate existing labelling legislation. Any of the 14 allergens that are on the regulatory list will be emphasised on the label, if they are used as ingredients in a pre-packaged food. Businesses can choose what method they want to use to emphasise these allergens, for example, by listing them in bold, italics, highlighted or underlined, to help identify them. Information about allergenic ingredients will be located in a single place, i.e. the ingredients list on pre-packed food. This means that the voluntary use of the current types of allergy boxes (such as: ‘Contains nuts’) that provide a short cut to allergen information also given in the ingredients list, will no longer be allowed. Currently, loose foods (that can be bought without packaging) for example in supermarkets, delis, cafes and restaurants don’t have to provide information you need about food allergens. However, from 13 December 2014, information on any of the 14 allergens used as ingredients will need to be provided for these foods. As you can see here, Easylabel 6 is more than capable of meeting the new food allergen labelling requirements and much more. If you would like to arrange a FREE no obligation demonstration please complete our demonstration request form or call 01642 490121.